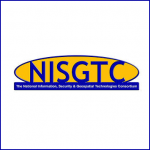 The National Information, Security, and Geospatial Technology Consortium (NISGTC) received a $19,998,974 Round One TAACCCT grant award to offer services to individuals who are seeking training and job placement assistance in four Information Technology (IT) areas of Cybersecurity, Geospatial Technology, Programming and Networking and Data Communications. Free e-books for the nine geography, geospatial science, geology, and surveying courses impacted by NISGTC have saved students more than $206,918 since August 2013. Developed state of the art virtual labs with access 24 hours a day from anywhere with an internet connection extends students’ learning, practice time and success. Provided specialized tutoring, career coaching, mentoring, and placement services to improve student outcomes.